The Recorded Voice demands a shift in technique. Like we’ve all seen theatre actors on film/TV who come across as overly theatrical or ‘TV’ actors who take time to adjust to the 8 shows a week vocally, as an actor approaching VO there are a few simple but essential ‘shifts’ to be aware of. 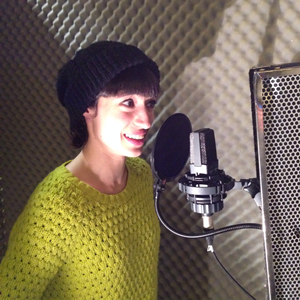 At Round Island, we have recorded and produced voiceover demos for hundreds of clients over the years. Each session is a unique and invigorating, demanding and often exhausting process. This article aims to give you a heads up and point you in the right direction whether you want to prepare a demo, work in VO for the first time or just improve your technique. I’ve worked with recent graduates and actors with over 40 years of stage experience. That wonderful supported resonant voice can be joy to our ears in the right setting. But why is it that some actors seamlessly transition to VO work whilst others struggle to grasp the difference in approach? Let’s start with the ‘support’; the breath. As a theatre trained actor, have faith that the support is there, that the resonance is full and that articulation is clear. In most cases (commercials, documentaries, appeals etc.) we are recording the voice aimed at a single listener or a small group. We don’t’ want or need to hear the big booming ‘Shakespeare tones’. Overall we want to avoid sounding like an actor; we want a natural human voice, a voice we can identify with. If you’ve spent three years working on your RP, be prepared to turn it down, to tone it down and in some circumstances lose it entirely. What did you sound like before all of that vocal work? What’s beautiful on stage in an Oscar Wilde can sound false and caricatured when recorded. So, relax. Long gone are the days of needing to run the gauntlet with 10 different accents and an almost schizophrenic array of ‘character voices’ for the modern audience. We want to hear YOU. The subtle variations of you. So have faith in your support, warm up the articulators, relax and step up to the microphone. Many a Voiceover Artist will convince you that ‘microphone technique’ is a mystical art. It is not. In our voicereel sessions we explain how to set-up a basic home recording facility for around £60. This is essential. If you want to be confident at the microphone, use the microphone regularly. Apart from being aware of plosives and avoiding tension in the tongue and jaw, the main thing to be aware of is hydration. Certainly, have a coffee or a tea to get you going but from then onwards avoid anything but water or apple juice. Having an apple to hand is useful as it promotes saliva. As you start becoming dehydrated, all sorts of strange and annoying sounds are highlighted by the mic. Pops, slaps, clicks…..they can ruin an otherwise perfect take and are a nightmare for the engineer. I once had a client who ignored the advice and drank about 8 cups of tea from a flask throughout the session. He then complained that he could hear the slaps and clicks! So get a USB condenser microphone (contact us if you are in doubt to which one) and practise. Become familiar with what is happening in your mouth. Play around with the ‘proximity effect’ – how different your voice sounds when close in on the mic. In part two we’ll talk about being the engineer’s dream, self-monitoring and how to approach commercial material.